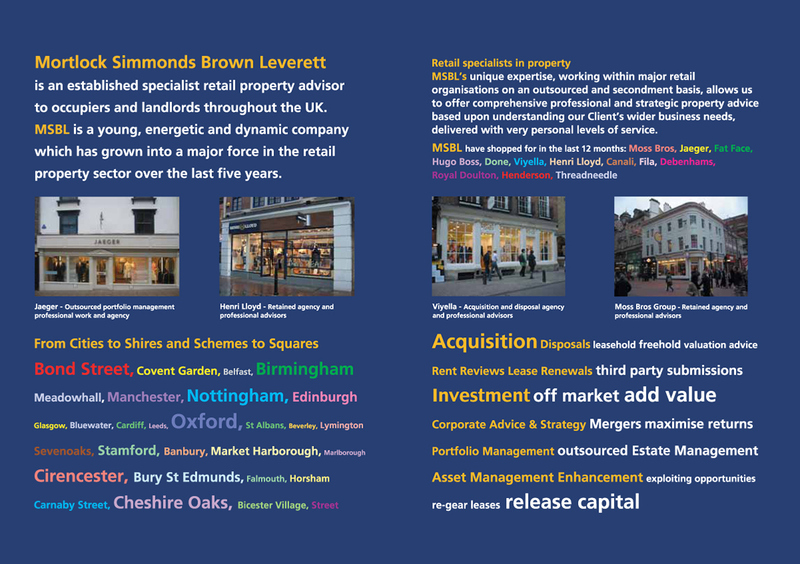 MSBL required a brochure to promote their services within the retail property market. Their brief was very specific but left open on the creative. They specialise in selling and finding properties for their clients all over the UK. 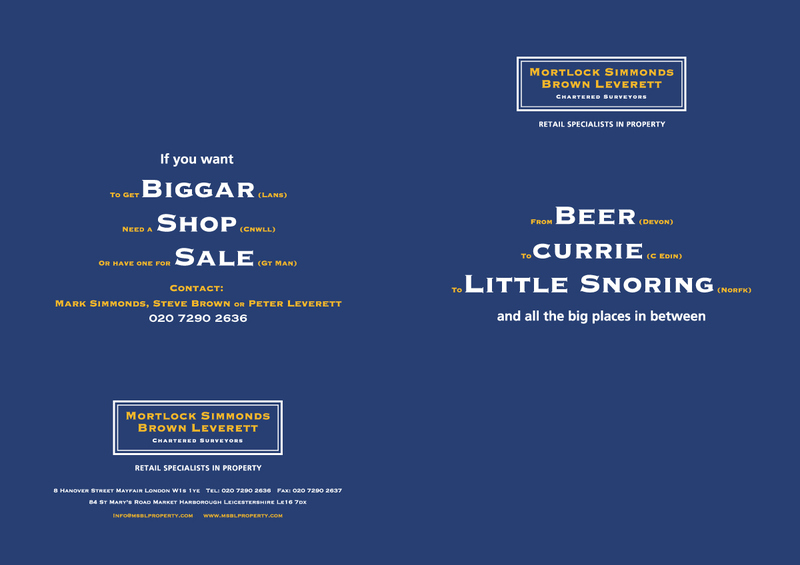 It therefore only seemed apt to portray this in place names that are not only relevant to their business but in a humorous way. 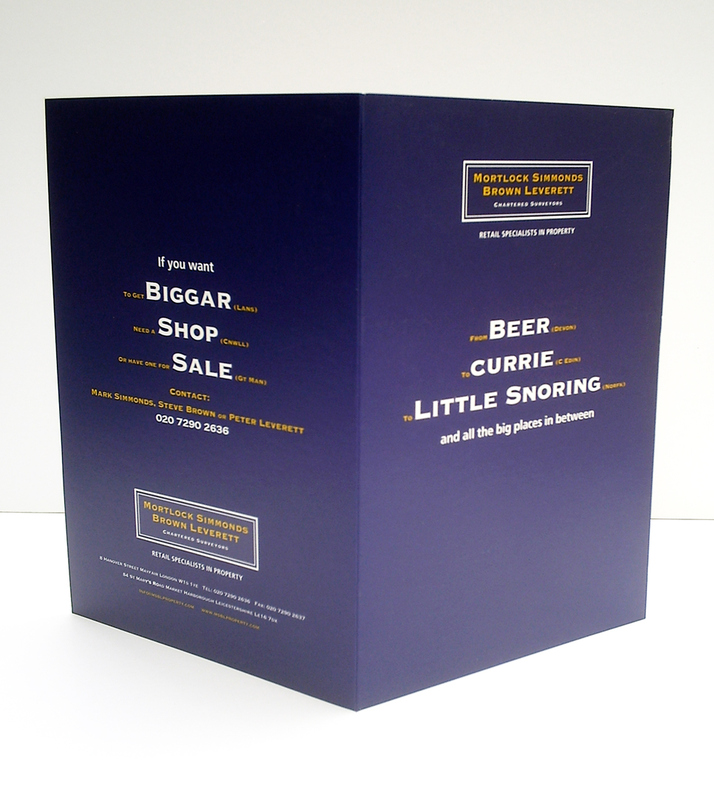 Their brochure was a four page A5 four colour process throughout printed on a 400gsm matt laminated with spot UV both sides. Jomo delivered a highly topical and original creative for our company brochure on the theme of place names throughout the UK. 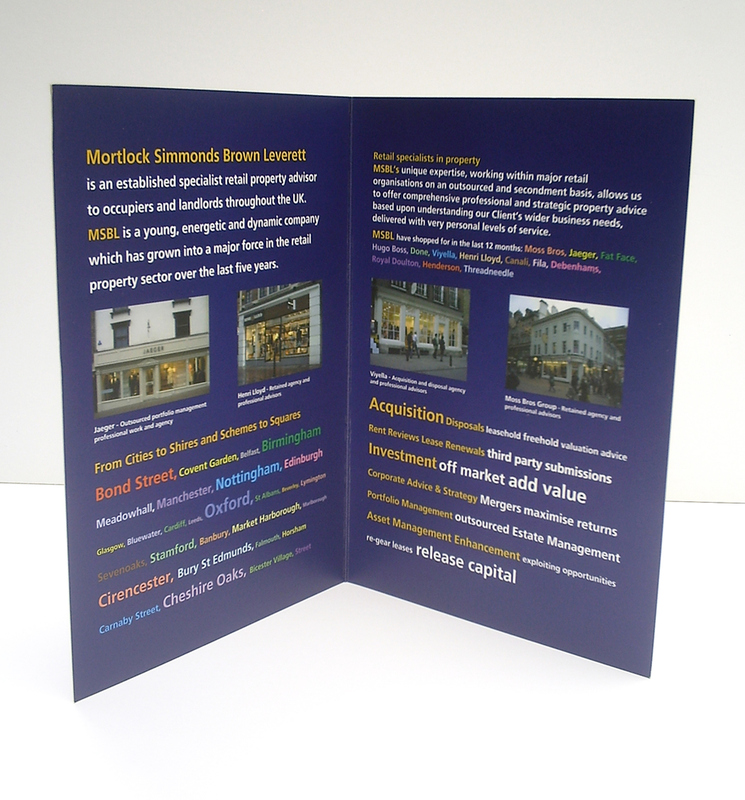 The finished printed brochures looked very professional and were well received. They constantly support us with marketing our company and we always know everything will look great, quickly completed and be delivered on time.